It's Thanksgiving 1944 in Ogden, Utah, and for the Hayes family, it's a tough one. Oldest son Glen is a paratrooper somewhere in Holland, and Dennis, his 16 year old brother. can't wait to enlist as soon as he turns 17. Meanwhile, Dennis is trying to keep peace at home, His dad, who has a drinking problem, also has a quick temper and sometimes a very cruel mouth, aimed at Dennis and his mother. Younger sisters Sharon and Linda are still too young to be the brunt of their dad's anger. 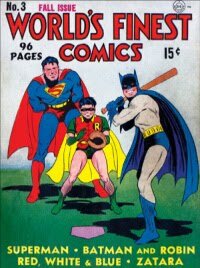 though he doesn't pay much attention to them anyway. Dennis has decided he would like to make Christmas a special one for his mom this year. He's working extra hours at the Walgreen's to save money to buy her a new dress for church, her first in a very long time. Dennis even manages to get his car mechanic dad to contribute $5.00. Dennis is aware that his father favors his brother, because Glen accepts his dad for who he is, and the two of them go hunting and fishing together, whereas Dennis is somewhat ashamed of his father. Besides that, his dad thinks Dennis is a momma's boy - meaning he's not half the man his brother is. And it turns out that Dennis realizes he is somewhat ashamed of his dad. When a wealthy girl in his class, Judy Kay, lets him know, she would like to go to the Christmas dance at school, Dennis allows himself to be talked into buying an expensive suit and shoes by his wealthy best friend Gordon. He knows he has spent way too much, but can't stop himself. In alternating chapters, the reader learns about Glen Hayes and his friend Dibbs have survived the Normandy landing and now they are living in a cold, muddy trench in the rain in Holland. Their Thanksgiving meal, a wet, splashy version of someones idea of a traditional Thanksgiving meal, only serves to make Glen want to be home and to discourage his brother from joining up. On December 17, Glen and the other men of the 101st Airborne Division are loaded up on trucks and sent to Belgium as infantry reinforcements despite not being trained for that and not having enough ammunition, or winter clothing to protect against the bitter cold there. By Christmas, there is snow to compound the discomfort of their new trench. Back in Ogden, Dennis manages to purchase the dress he has his heart set on for his mom, thanks to a kind sales lady who gets it discounted for him. Christmas is a success, the dress is a success, the younger girls love their presents. But more importantly, Dennis and his dad finally have a difficult conversation about how they both feel towards each other. Not long after Christmas day, a telegram arrives that Glen has been seriously wounded in action. Will this be the thing that finally pulls the Hayes family together or pulls them completely apart? 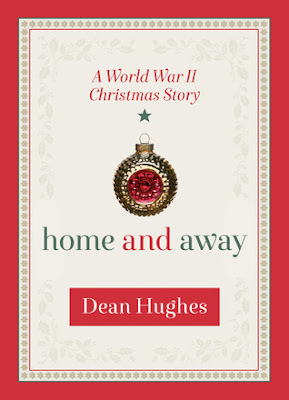 Dean Hughes has written a lot of WWII books and I thought this one would be an interesting Christmas story. Christmas had to be a tense time with family members away fighting in Europe and the Pacific. Worry about them could easily lead to tensions within the home and it's understandable that suppressed feelings could bubble up to the surface. And that is exactly what Hughes has depicted in Home and Away. With the exception of father Henry Hayes, the rest of the Hayes family is very religious and rely on that to help them through these tough times. I should say that some of what Hughes writes is LDS fiction, but there is not particular religion mentioned in Home and Away. Home and Away is a novella, but I can't say I found it very satisfying. Although Hughes did a great job depicting Dennis' dilemma about signing up to be a paratrooper like his brother, I never felt like he was a coward because he had reservations. Still, I did feel that there were events that didn't quite come to a satisfying conclusion and that bothered me. There was all that talk about money for a new dress, but nothing was said when Dennis spent so much on a suit, shoes and the dance. Sure it came out of his pocket, but would that stop his dad from commenting on the waste of money it was. And the girl Dennis took to the dance, Judy Kay, was so gun-ho war but why? And what happened to Glen's friend Dibbs? Was he hurt? or killed? Hughes has captured life during the war at home and abroad so well, so realistically, I wish he had written this as a novel instead of a novella. I think it would have been so much more satisfying. Still, I would recommend it to anyone interested in historical fiction and/or WWII fiction.